And you will develop legs of steel! Today we climbed up Mount Tai, a famous mountain near the city of Tai’an in China. Mind you, I’m not super active and my husband is scared of heights, so this shows that anyone can do it! If you allot enough time to rest and whatnot. Actually Mount Tai has a bus that goes up halfway and then a cable car that goes almost all the way to the top, with some more stair climbing afterwards to get to the summit. That was our plan, but the cable car was closed due to high winds so we ended up hiking up from that halfway point. We started at 11:30 and got to the top at 2… And it was a sweaty, arduous trek. 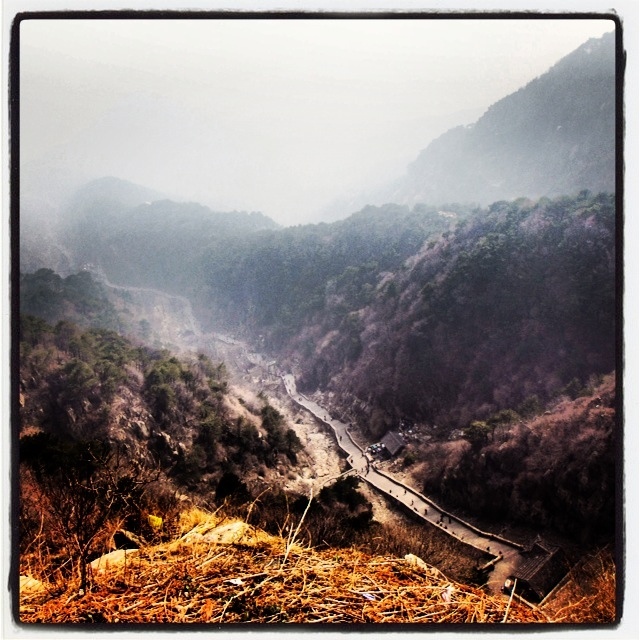 But there was an undeniable sense of accomplishment when we stood there at the highest point – we conquered Taishan! And then afterwards the cable car was working so we took that down and then the bus back to ground level. My legs are killing me!